Are you as skeptical of cooking dried beans as I am, or used to be? For a long time I refused to do so. I knew making dried beans instead of using canned would be cheaper, but I preferred the convenience of breaking out my can opener. 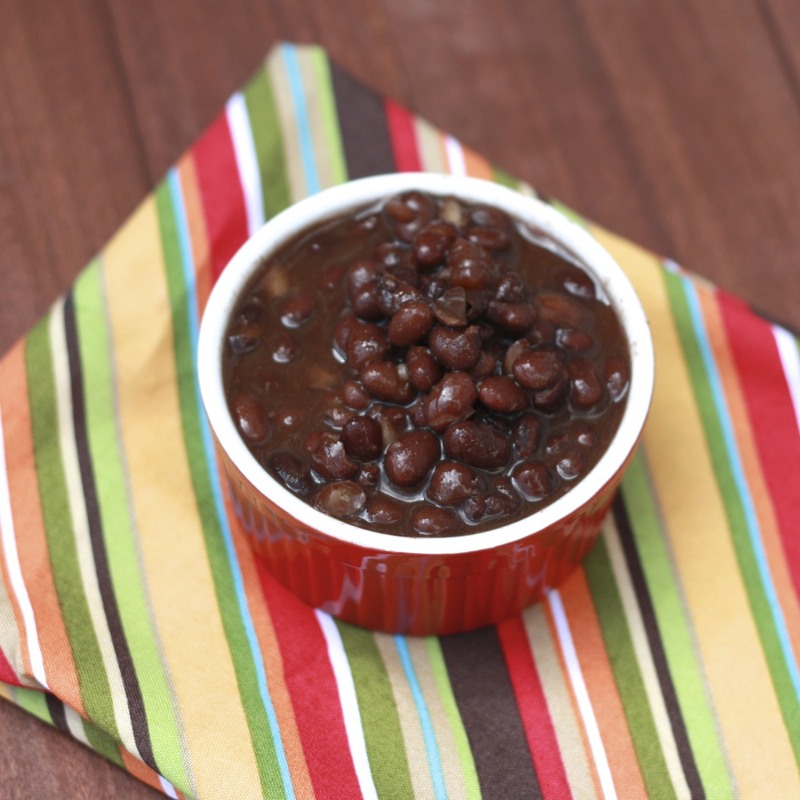 That is, until I finally gave it a go with these Slow Cooker Mexican Black Beans and I've since changed my mind! These seriously couldn't have been any easier. I started by soaking the dried beans overnight in a large stockpot. The next morning, I drained them and poured them into my crockpot with the remaining ingredients (all 5 of them!) and left them to cook all day when I was at work. We came home to perfectly cooked beans that were already flavored and ready to be used. Because the beans are cooked with 6 cups of broth, they are sitting in a lot of liquid. If you want thicker beans, just drain some of the liquid off of them. I cut back on the original amount of chili powder and found these weren't spicy at all; next time I'll use the full amount, or use a can of tomatoes with green chilies instead of just tomatoes. What should you do with these black beans? We hosted a 'make your own nachos' dinner at our house and included these in the spread, along with taco meat, guacamole, spicy salsa, queso, and more. However, these makes a HUGE batch (which you could freeze! ), but after eating nachos for three days, I used the rest for something else, which I'll share in a few days. Although I don't think I'll completely refrain from buying canned beans in the future, it's nice to know the dried version is so easy! How about you guys? 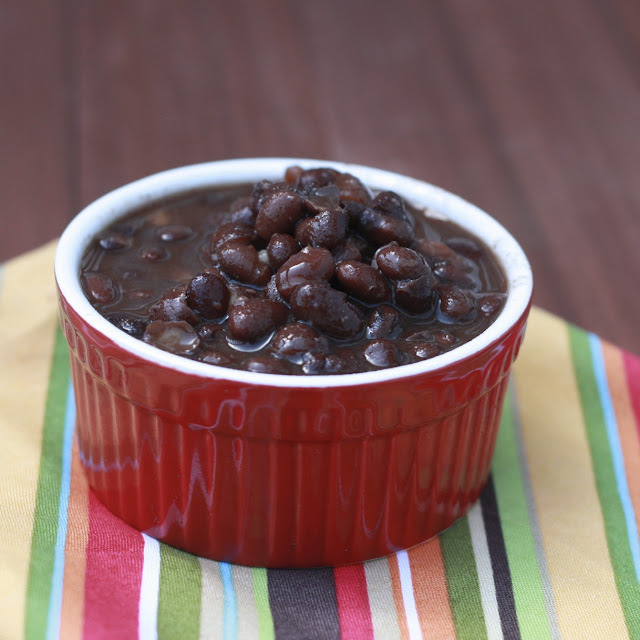 Do you stick to canned or do you cook the dried beans? 1. Soak beans overnight in a large stockpot. The next morning, drain and place in the slow cooker. 2. Add remaining ingredients to the slow cooker and stir to combine. Cook on low for 8 hours.